Multiple minds are focused on Frankfort, where brainpower is grinding under pressure, both financial and political. Arranging almost $20 billion in a two-year budget – plus road spending – makes for a grid of priorities and potential pegged against some tough funding. 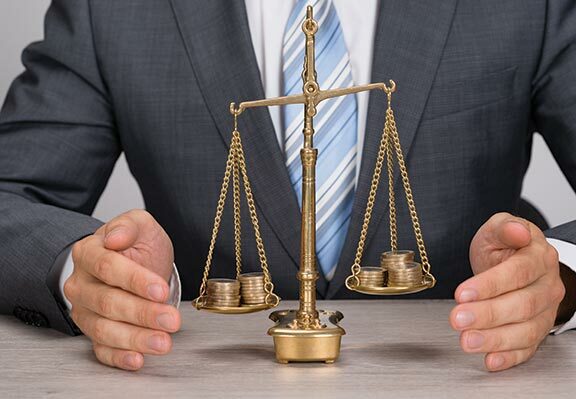 A slight budget surplus does not begin to meet a myriad of needs, many cut or postponed during the recession, especially when factoring major obligations for pension reform and Medicaid growth, which each run $100 million. Gov. Steve Beshear puts the frame in place with the Jan. 21 budget address. Legislators finish painting the picture. Those who earn the rank known as “leadership” carry a massive assignment. 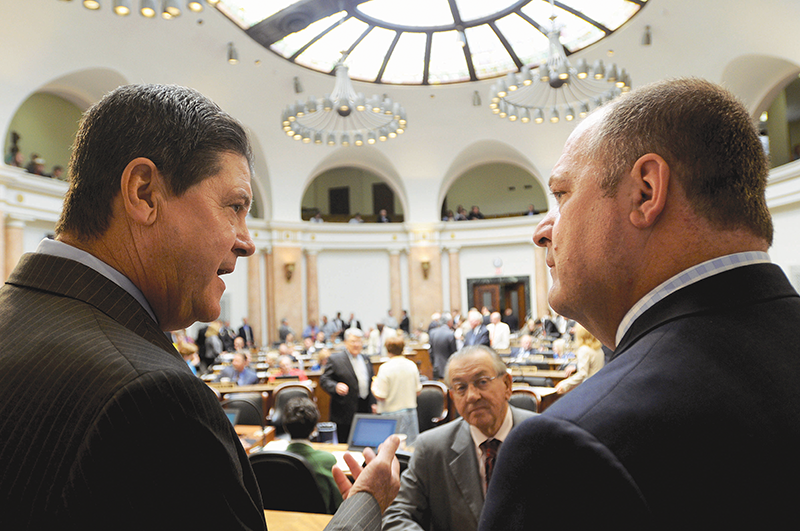 Senate President Robert Stivers and House Speaker Greg Stumbo combine for nearly 50 years of experience under the dome. Both hail from Appalachia. Stumbo is thinking long-term, like four-laning the rest of the Mountain Parkway to open up the east. Stivers looks ahead to the next budget after this one, when the state picks up a fraction of the federally funded Medicaid expansion, likely to cost $300 million annually, just for starters. Unlike Washington, the state budget must balance. Were tax reform to take on traction this session, Lt. Gov. Jerry Abramson would be front and center, carrying a list of potential changes that were carefully vetted through a blue-ribbon commission headed by Abramson. 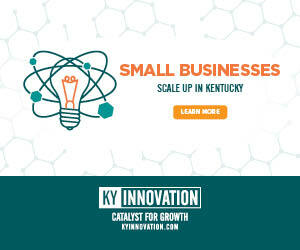 Rep. Arnold Simpson and Sen. Chris McDaniel, both of Northern Kentucky, have one reform in mind – the Angel Investment Credit. 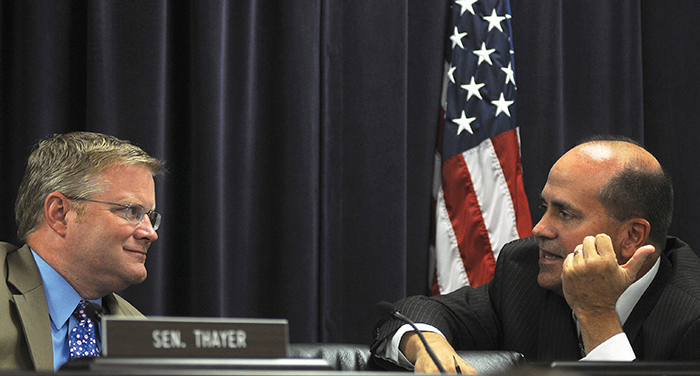 Sparking the brain trust is Senate Majority Floor Leader Damon Thayer, now nationally noted for his team leadership on the 2013 pension fix. His caucus will push a constitutional amendment to have greater legislative power regarding the governor’s role in regulations. 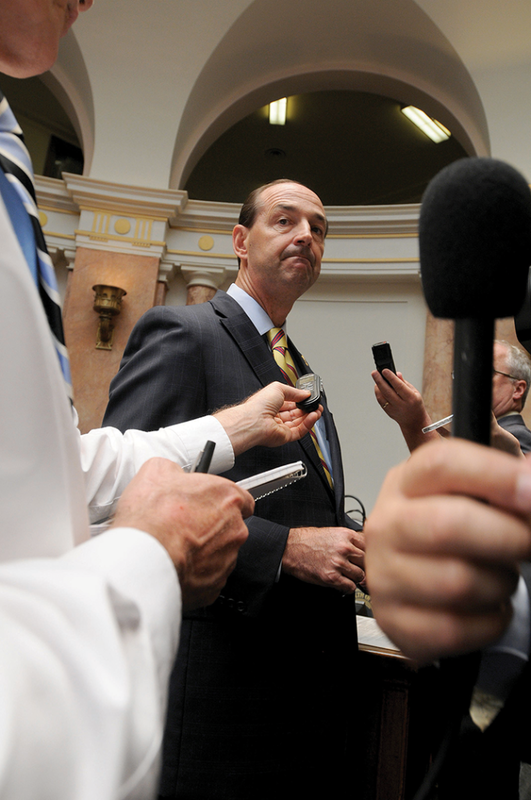 House Majority Floor Leader Rocky Adkins, age 54, has served in chamber almost half of his life, devoted to his home region – Eastern Kentucky. Sen. Katie Stine, the highest-ranking woman as president pro tem, is retiring, but not before pushing major action on the state’s burgeoning drug addiction crisis. Two key lawmakers, both with major leadership roles, are offering strategies for expanded gaming. Casinos can only happen with a vote of the people to change the state’s constitution, which dates back to 1891. 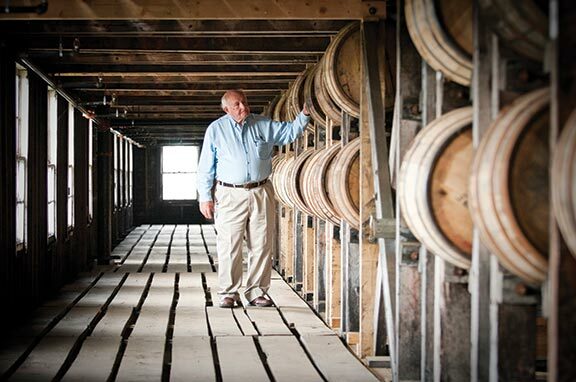 Sen. Dan Seum of Louisville, who chairs the Senate Republican Caucus, has long been a gaming proponent. House Speaker Pro Tem, Larry Clark, also of Louisville, is proposing an amendment to allow gaming, along with enabling legislation to spell out the specifics were the measure to get through the Nov. 4 ballot. Nov. 4 brings a vote on all House members along with half of the Senate. The math matters. House control is only 54-46 for the Democrats. The Senate is 23-14 for the Republicans with one Independent, who sides with the Rs. That single senator is Bob Leeper, who is retiring. Leeper, however, chairs the powerful Appropriations and Revenue Committee. The budget starts in the House, and once passed, is intercepted by Chairman Leeper’s 14-member group. For the House, it is the job of Rep. Rick Rand from the quaint town of Bedford to guide the money plan. Rand and Leeper sift through a mountain of requests, proof and persuasion to make it all add up. Colleagues push particularly hard for schools and colleges. Reps. Derrick Graham and Leslie Combs chair subcommittees charged with education spending. Presidents descend with strong cases. Leaders like Eli Capilouto of UK, Jim Ramsey of UofL, and Mike McCall of KCTCS have seen state budget commitments steadily decline. Each is armed with evidence for improvements. Faculty and staff raises have been paltry, and buildings need replacement or repair. 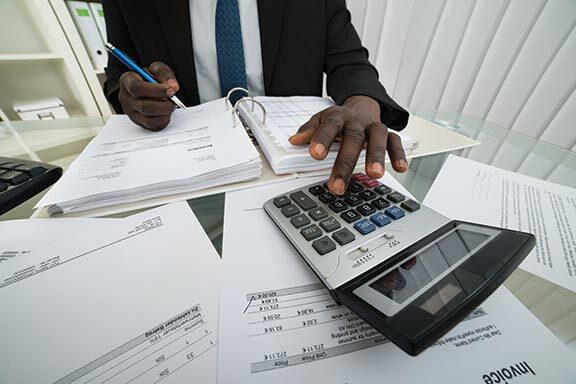 Operating capital needs boosting. Teachers and system superintendents have a parallel saga. Just to raise teacher pay by a mere percentage point is a $29 million annual cost. Ironically, raising the SEEK formula by one point is $29 million, too. To restore school cuts is about twice as much, some $59 million annually. Like House and Senate members, Kentucky’s “minor constitutional officers” have future political considerations that are tied to proposals. The obvious is Alison Lundergan Grimes, secretary of state, and the race with U.S. Sen. Mitch McConnell. Agriculture Commissioner James Comer and Attorney General Jack Conway are near-certain candidates for governor in 2015. State Auditor Adam Edelen could also seek the governorship. He’ll hit the need for better cyber-security. Treasurer Todd Hollenbach will be back on the ballot again soon, pundits say. All five state officials will end up before legislative committees, recent history tells us. Prominent mayors Greg Fischer of Louisville and Jim Gray will ask for a LIFT, which allows local communities to vote a sales tax increase to pay only for specific improvements. A host of local organizations are part of this push, requiring a constitutional amendment. D-Louisville, discuss legislation during a September committee meeting. Some say it’s a no-brainer, but lawmakers are thinking it over. Health issues always loom large. Sen. Julie Denton, Rep. Susan Westrom, Rep. Jimmie Lee and Rep. Tom Burch are major figures. Five in the executive branch hold super-sized duties in the new era of continuous reform: Health Secretary Audrey Tayse Haynes, Insurance Commissioner Sharon Clark, Medicaid Commissioner Larry Kissner, Health Exchange Director Carrie Banahan and Public Health Commissioner Stephanie Mayfield. Each will be sought for advice. So once past the brain twisters and brain drain, the session must wrap up by a red letter deadline day – April 15. Bob Babbage, former secretary of state and state auditor, heads Babbage Cofounder.